Truth is stranger than fiction, and that’s the truth! It’s the wacky, wild, mad-mad-mad-mad world of Judy Garland fandom. It’s all here! The drama, the comedy, the love, the hate, the excesses – and so much more. 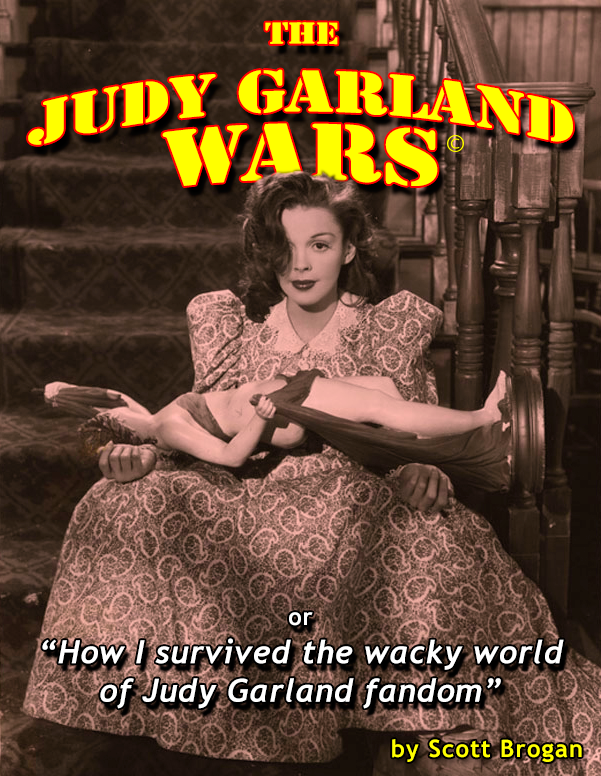 The Judy Garland Wars © -or- “How I survived the wacky world of Judy Garland Fandom“ will lay out the facts bare. Starring a crazy cast of characters famous and infamous, this history of the online antics of the movers and shakers in Judy Garland fandom from the early days (remember The Judy List?) of the Internet to today will surprise you by its revelations, many never previously published. Finally, a tragic-comedy (heavy on the comedy) of epic proportions that will make you cry and laugh, and do the La Conga!